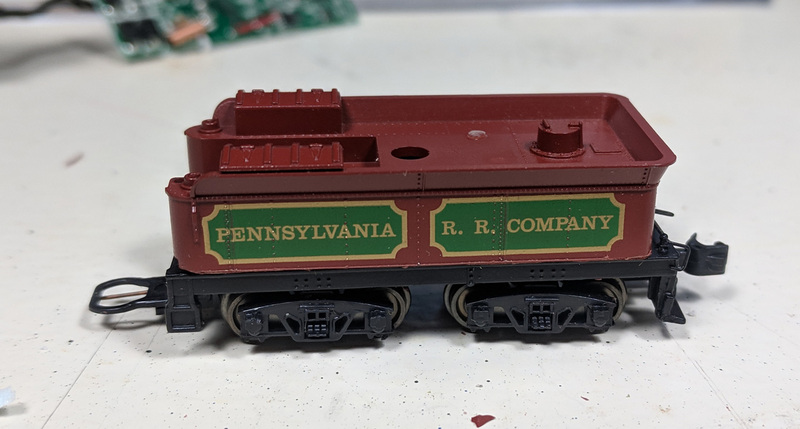 For my toe being dipped into the MPA in ’43, I’m going to start with an easy kitbash: turning a Bachmann 4-6-0 into a passable model of MA&PA 26, a 4-6-0 built… sometime before 1943. 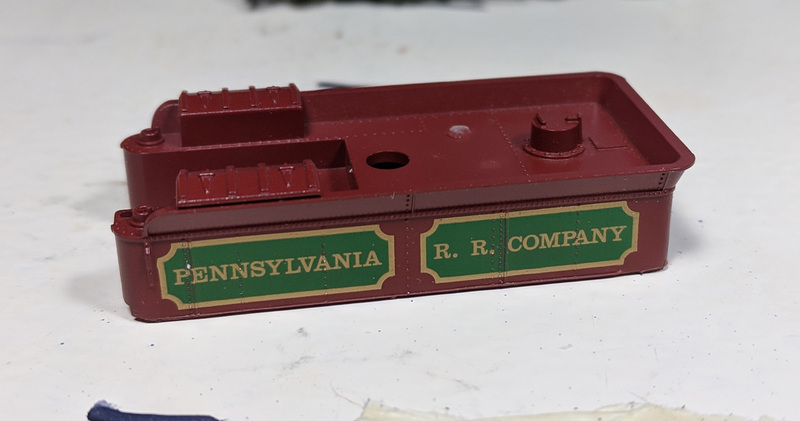 As it comes, the model is pretty close, but the enormous USRA tender has to go. After some consideration, it looks like the tender from the ancient Minitrix “Old timer” 0-6-0 is a reasonable facsimile of the real thing, AND it looked like it’d fit on a Bachmann slope back tender frame. Well, it could hardly be a better fit. 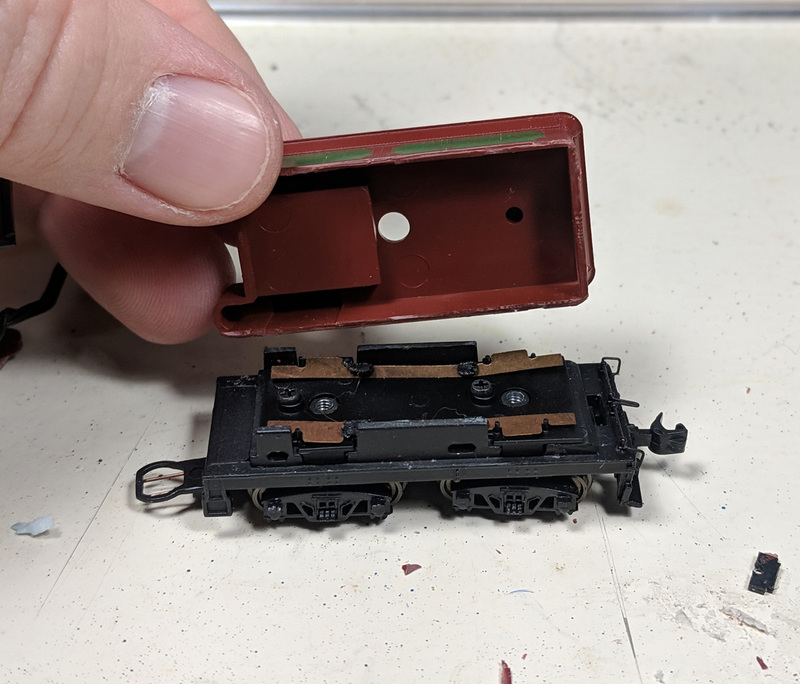 First, the disassembled Bachmann tender. Next, the Trix tender after cutting the bottom of the frame off it. And setting the one on the other? Here’s a mockup of how it’ll look. Now onto adding DCC and lowering the boiler.